You’ve noticed, I’m sure, that my byline has been scarce lately. Indeed, I’m still working on reviews of albums I received as long ago as September, as I’ve been having difficulty finding time to set aside for writing since late 2017. I also haven’t been getting out to many shows. 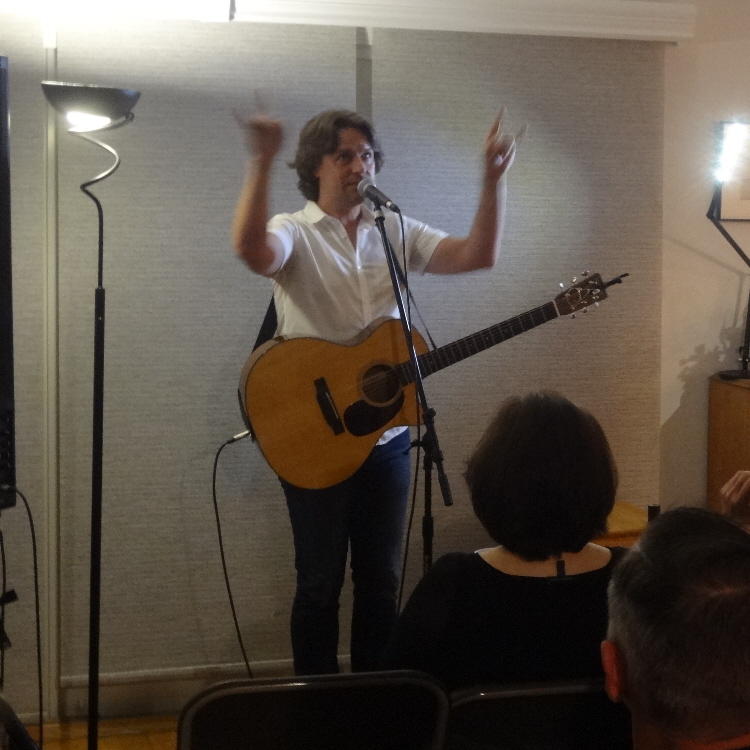 But when Jann Klose is in town, it’s worth finding a way to hear him perform, especially in the intimate setting of a house concert as part of a local house concert series. I don’t have a lot of time to write this review, either, so I’ll keep it short and sweet. 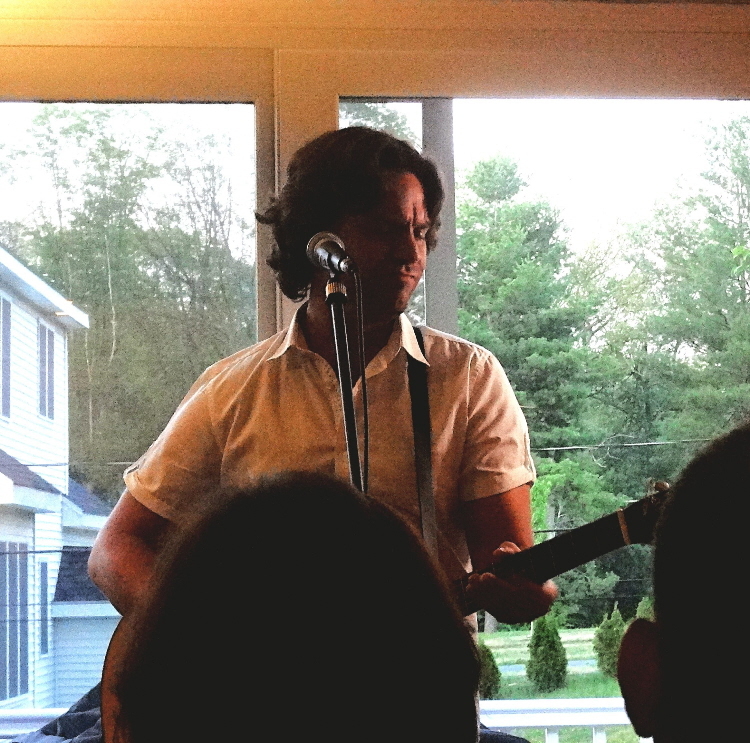 I’ve reviewed Jann a few times before, so please do check out what I’ve said in greater detail in the past, reviewing a 2016 house concert, his previous album Mosaic, and his joint release with Gary Lucas, Stereopticon. 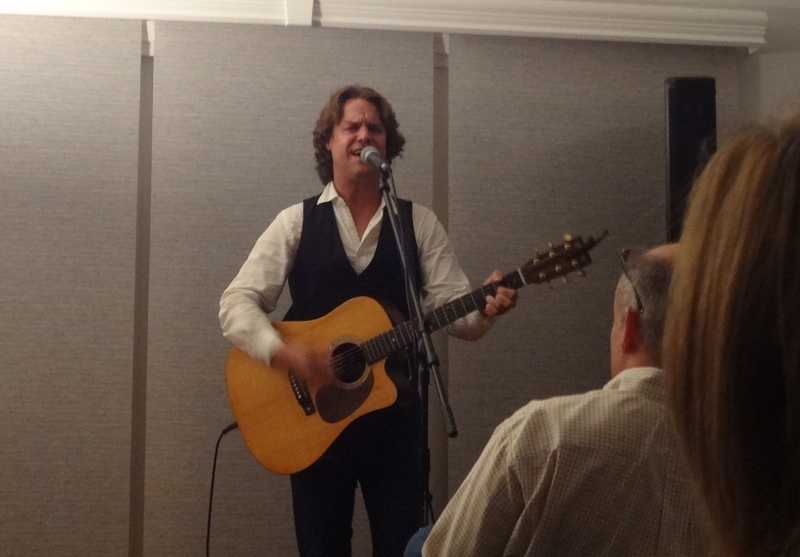 Touring in support of his new LP, In Tandem, which includes co-writes with some renowned musicians globally, Jann delivered a performance of old and new material Saturday night, featuring his exceptionally engaging singer-songwriter rock ‘n roll songwriting style, his songs specifically designed to showcase his rich, powerful, memorable voice. Jann kicked things off with several songs from the new disc. Show-opener “Dear Mel” was a great introduction to Jann for the uninitiated, showing off his vocal power and range, in a style that especially caters to some of the more special elements of his voice. He followed that with the more energetically-tempoed “Love High.” Among my favorites of the new songs was “Never Fall,” a catchy number notable for the tempo and energy of its chorus. A couple songs from Jann’s Reverie disc closed the first set. The energetic “Clouds” was followed by “Question of the Heart,” a tune with soft, piercing vocals that, at least to me, seem carry a bit of a Paul Simon vibe, at times. 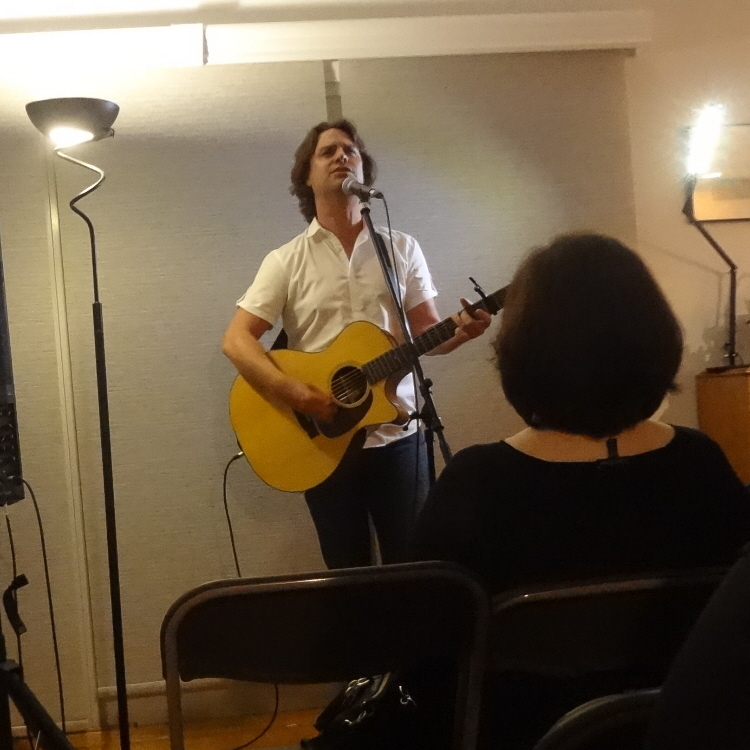 Jann kicked off the second set with the Tim Buckley cover “Song to the Siren,” a song that especially well fits his textured voice, one Jann recorded for his Mosaic album. Other highlights of the second set included “Pour the Champagne,” a potential hit single from In Tandem with its ’70s singer-songwriter rock vibe, and “Make It Better,” my personal favorite song from Mosaic. Jann delivered a two-song encore, starting with the soft, sweet, mellow “Still,” another favorite from Mosaic. And he closed with a fun, playful rendition of Prince’s “Kiss” on which Jann hit some impressive high notes, ending the show with great energy. 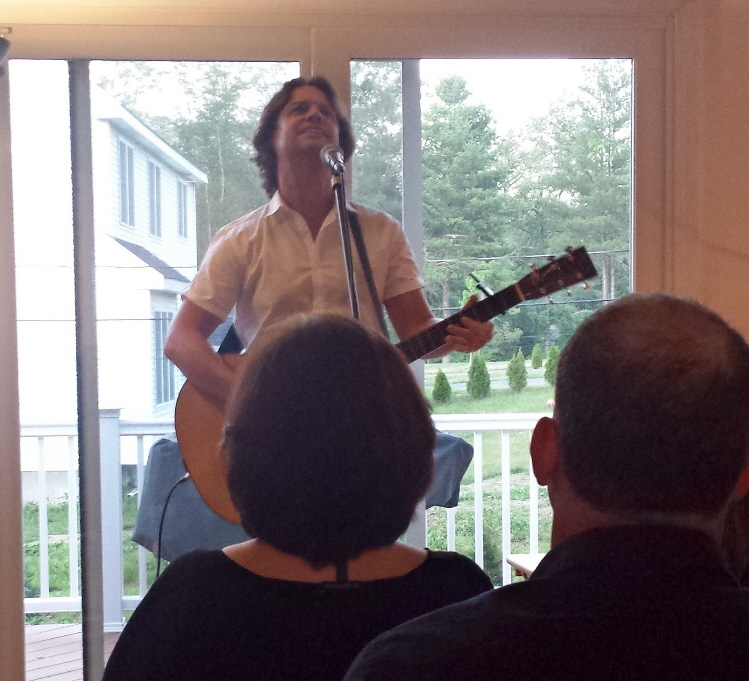 As always, it was another great Jann Klose evening. He left his audience satisfied but wanting more. And he featured several cuts from what sounds like it must be an exceptional new disc. 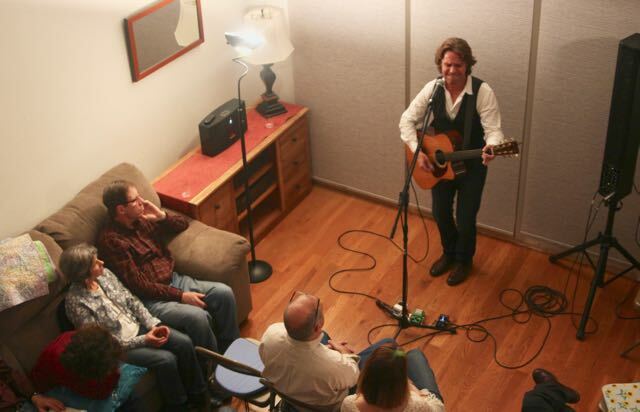 While there are plenty of larger venues on Jann’s album release tour, all of us in attendance were fortunate to live in close proximity to this much more intimate show. Stay abreast of Jann’s live performance schedule at the “Shows” page of his website. And get out to see him perform if he’s in your area. He’ll be in Ohio this week – on Thursday, July 5th at the Music Box Supper Club in Cleveland and on Saturday, July 7th at Music at Madison in Youngstown. Jann will be at the Black Potatoe Music Festival in Clinton, NJ on July 14th. He has a couple Cape Town, South Africa shows schedule on September 1st and 2nd and a couple New Jersey gigs in December. With more shows being added, check his website occasionally to see if/when he’ll be in your area. The culmination of three years of collaboration between Gary Lucas and Jann Klose, Stereopticon hit the streets on January 8, 2016. You’ll be forgiven if you’re not as aware of these fine musicians as you wish you were. 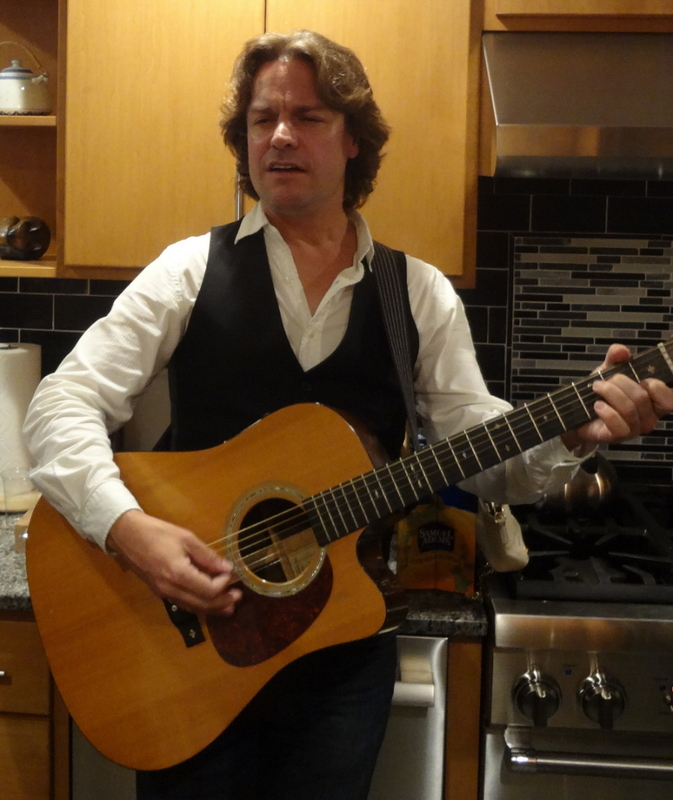 Guitarist Lucas is well known for his work with Captain Beefheart and Jeff Buckley. Throughout his career, though, he has released 25-plus solo albums; Stereopticon was the first of three discs scheduled for early 2016 release. Lucas currently plies his rock guitar hero trade across several active musical products crossing various genres. 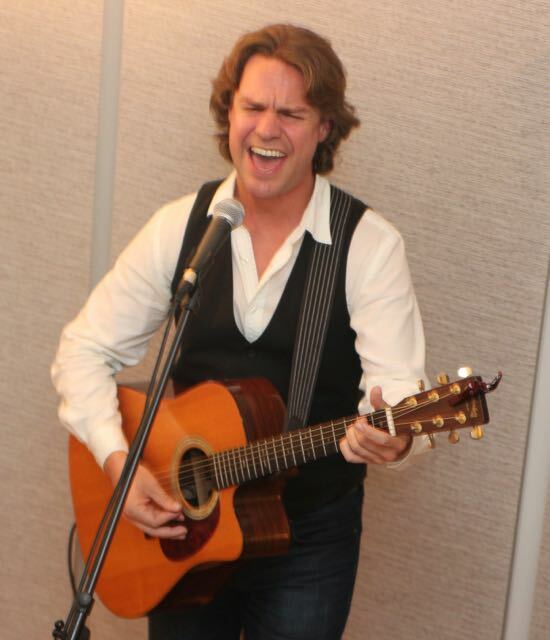 Singer-songwriter Klose is a critically-acclaimed, award-winning musician, as well. 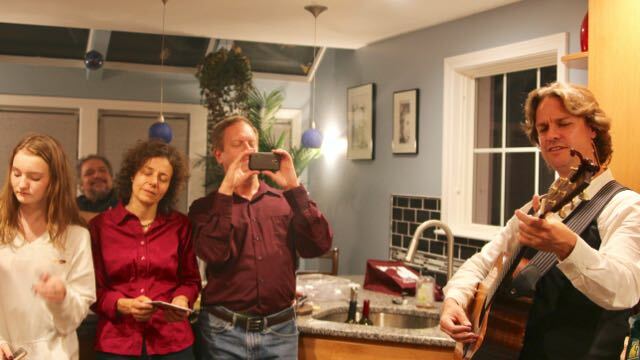 Recently, he was featured as the singing voice of Tim Buckley in the 2012 film Greetings From Tim Buckley. And his most recent solo album, Mosaic, which I reviewed here a few weeks ago, won three 2014 Independent Music Awards. If you’re a fan of mid-range, strumming guitar pop/rock, you’ve found the gem you’ve been looking for. Acoustic guitar rock with no more than a hint of folk, perhaps only because of the acoustic guitar, which occasionally mellows out the overriding soft-to-medium rock singer-songwriter vibe. I’m familiar with Jann’s work through the years, and he lives and thrives in this sweet spot, adding other influences for spice. Stereopticon delivers on the promise of this musical style, producing several strumming-guitar-rock potential-hits. The album opens like an old friend, snapping its fingers and sidling in with a warm strum and crystal clear vocals on “Fair Weather.” “Secret Wings” follows, similar in style but with a hint more energy and an engaging, uneasy musical tension in its intro that’s repeated in a couple others spots within the song. One of the more energetic songs on the disc is “Well of Loneliness,” offsetting some abrupt acoustic guitar riffs with smooth crooning and a sax bridge to create a catchy package. “Take Your Medicine” follows with a catchy opening guitar riff that flows into a gritty strained vocals, showing again why Gary and Jann are such an exceptional pairing. A couple songs later, “Jewel Julia” is an engaging, powerful number that feels like perhaps a slightly louder companion to Billy Joel’s “Piano Man,” employing the same energy arc and emphatic drinking-song style. Toward the end of the disc is “Mary Magdalene,” a tune that climaxes with some of the roughest energy on the disc. This track has garnered some interest within the music industry; it’s clear why, as it has a unique, striking energy. In the end, Stereopticon is a collection of catchy soft-to-mid-tempo acoustic guitar rock songs that will be a long-valued member of any rock fan’s album collection, offering a well-constructed progression of music that will spawn a different few favorites for each listener; it’s a disc without weak spots, allowing for a satisfying listen from beginning to end. 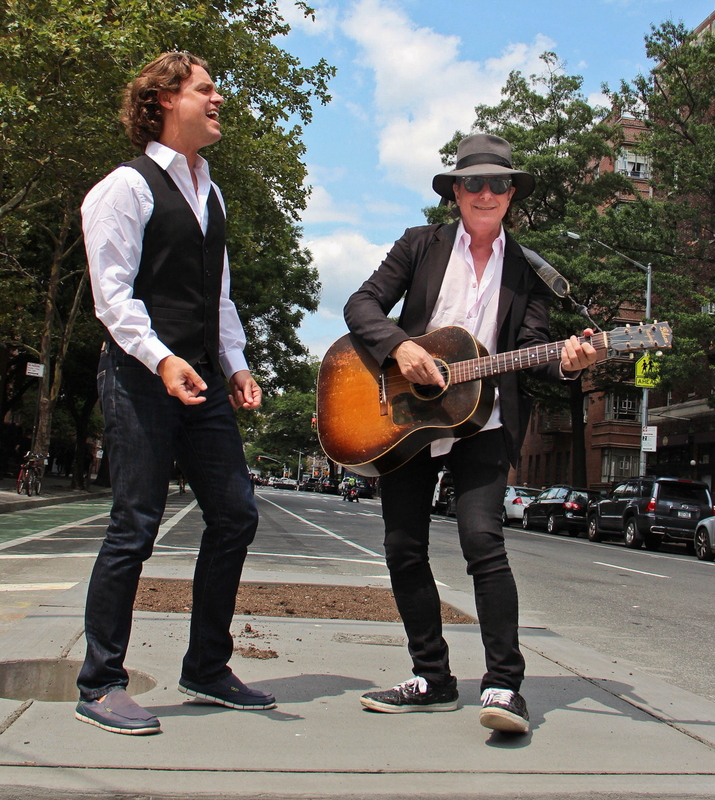 You can find upcoming gigs for Gary Lucas on his website, and for Jann Klose on his. Per their posted concert schedules, during the coming month, Gary has events in Silver Springs, MD on March 5th and in Brooklyn on March 18th. The only gig Jann currently has booked in March is in Vernon, NJ on March 18th. I first met Jann Klose at Undercurrents Music Conference in Cleveland in the late ’90s, where I chatted with him briefly and later reviewed a recording that contained selections from his Enough Said release. Not too long thereafter, in 2000, Jann relocated to New York City. We stayed in touch off and on over the years. I followed his career even while I was out of the business, something made easier by the fact that he ended up working with a publicist whose press releases have consistently graced my inbox for the better part of two decades. As for Jann’s backstory, as you can read elsewhere, he grew up in Kenya, South Africa, Germany and the United States and now lives in New York. More recently, his voice was featured in the 2012 film Greetings From Tim Buckley. The album I’m reviewing, Mosaic, won three 2014 Independent Music Awards. 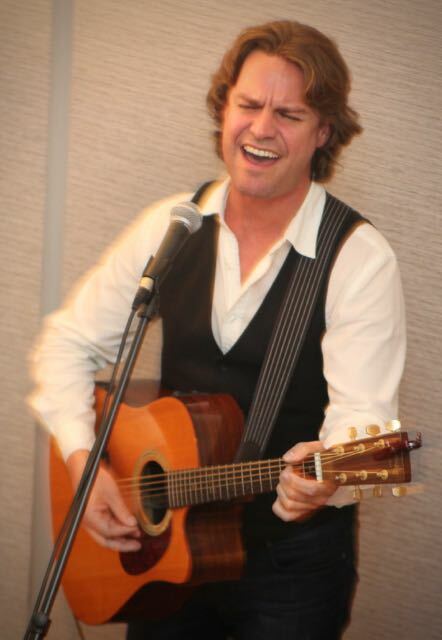 During the last decade and a half, while living in New York, Jann has built a solid music career on the strength of his strong, versatile, identifiable vocals and his insightful, crisp, varied songwriting, joining the ranks of New York’s exceptional pop-rock singer-songwriters. 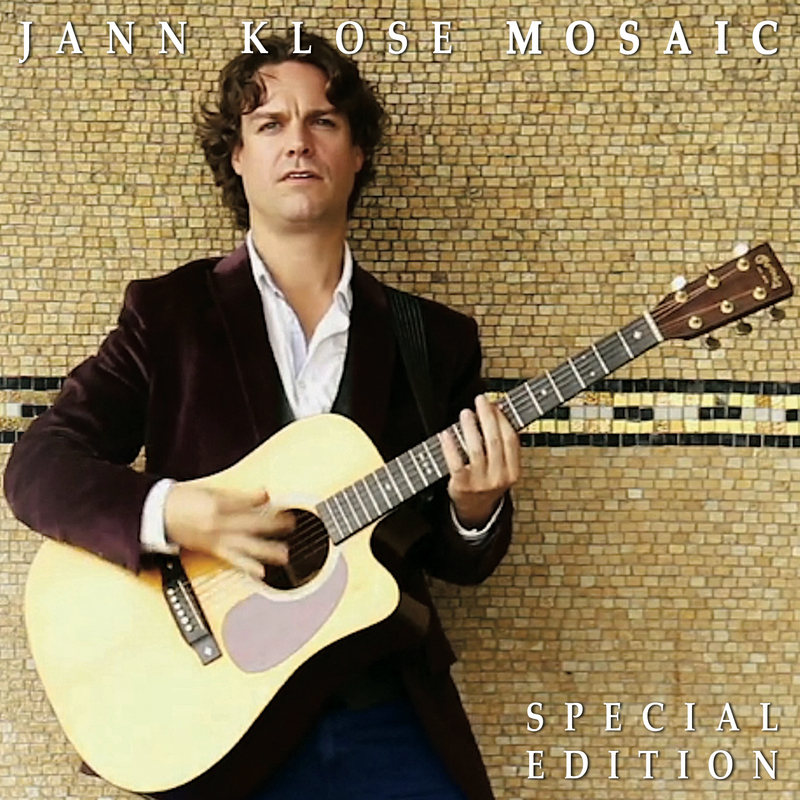 With his album Mosaic, Jann has crafted a varied collection of memorable, radio-friendly songs with cross-genre appeal. The disc opens with “Make It Better,” an energetic pop-rock song with a catchy hook that – paired with its engaging video and timely message of tolerance, acceptance, and equality – is perfectly in step with the marriage equality movement this past year. It’s followed by “Know What’s Right,” another song imploring action, this one leveraging Jann’s ability to deliver a powerful, insistent vocal with conviction within the confines of a mid-tempo acoustic guitar rocker. Another ballad, “Long Goodbye,” shows off Jann’s rockin’ guitar chops as it builds in power late in the song; combined with Jann’s wail, there’s a bit of ’70s wall-of-sound flavor during the latter parts to this particular track. You’ll find a similar ’70s guitar rock feel to the more uptempo “Falling Tears,” as well. Jann shows off a folky side, as well, with catchy country-folk-pop-infused numbers like “Four Leaf Clover” and “Beautiful One.” I want to say “The Kite” also fits this style, though it’s really just more of a catchy song, one that will creep into your mind an unleash itself back into your consciousness when you least expect it. Jann closes the album by showcasing a clear, almost Gospel-like vocal on his powerful, a capella version of Tim Buckley’s ballad “Song to the Siren.” Just wow. Seriously. The “Special Edition” of Mosaic, it contains six additional songs. They’re demo versions of some of the 10 songs on the album (plus the song “Anything”), which tend to be rougher instrumentally, showing off Jann’s vocals. They’re a nice added bonus. In total, Mosaic showcases a talented singer-songwriter’s skills by weaving many diverse influences into a cohesive, engaging album of hummable, radio-ready pop-rock songs with social, lyrical, and musical depth. As a listener, you’ll have a different favorite song depending on your mood each day, and you’ll catch yourself singing a few as you walk around during your day. This is an exceptional collection of songs and a great performance. Jann will also kick off 2016 on tour. Dates listed on his website include shows in Germany January 2-10 (hitting Hamburg, Barmstedt, Lübeck, Kiel, Osnabrück, and Bielefeld), a January 13 gig at The Bedford in London (a venue I visited during my “Five Nights in London” a few weeks ago), and California gigs at the NAMM show in Anaheim on January 22nd and at The Hotel Cafe in Los Angeles on January 27th. Jann already has several other shows listed as he begins to fill in his 2016 calendar, so be sure to check his website to see if/when he’ll be near you next year.